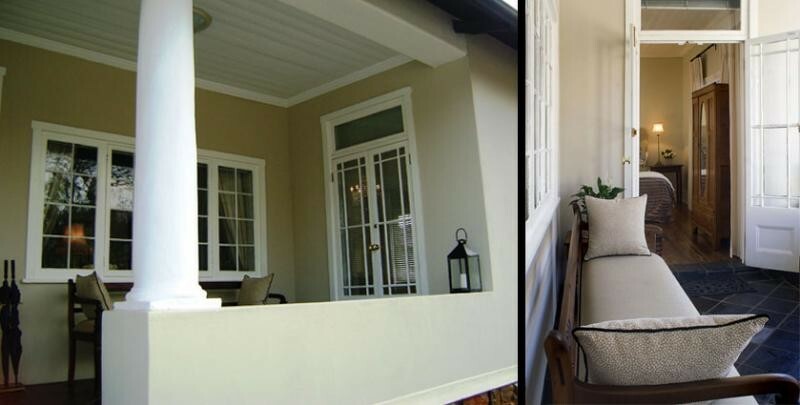 This elegant and genteel guesthouse, designed by Sir Herbert Baker in 1903, is conveniently situated 500m from the M1 motorway in the leafy suburb of Parktown, on the doorstep of Wits University, the Donald Gordon Medical institute and the Milpark Hospital. Being centrally located it provides the business executive as well as the leisure traveller with quick and easy access to Sandton, Rosebank, Johannesburg Central Business District and the OR Tambo International Airport. The guesthouse has been tastefully furnished and decorated by interior designer Amourette Vorster, to capture the elegance of a bygone era whilst keeping up to date with modern conveniences and trends. Renovations to the house have respected the heritage status of the property which is the best preserved example of this type of architecture. Imported fabrics, luxurious throws and bedding provide a restful respite after a hectic days work, shopping or sight-seeing White damask table linen, silver and roses offer guests a special touch to the normal dining experience. Enjoy a complimentary sherry on the stoep on a warm Highveld evening or next to a fireplace on winter nights. Breakfast is served in the sunny dining room which opens onto a tranquil courtyard where meals can be enjoyed weather permitting. Lunch and dinner are available on request and intimate corporate lunches and break away meetings can easily be catered for. Tea, coffee and freshly baked cake is available all day. Linen is 100% cotton percale with down duvets and electric blankets for chilly evenings. Both feather and synthetic pillows are provided to cater for all guest preferences and you will find fluffy bath robes in your cupboard to cuddle into after a refreshing shower or luxurious bath in our charming free-standing baths. 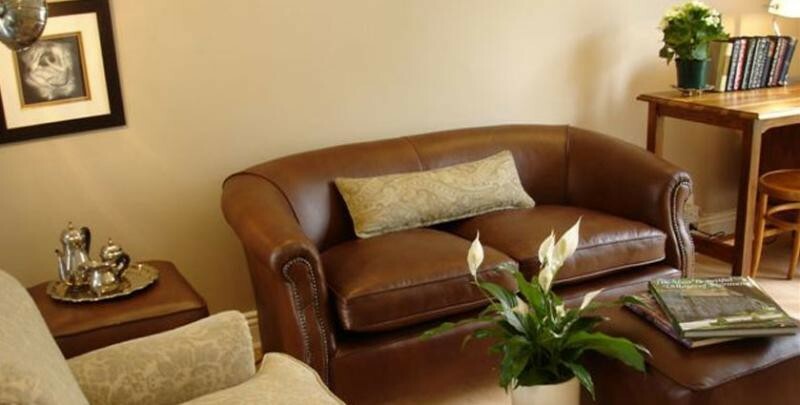 All rooms have television with individual DSTV, wireless internet access, hairdryers, luxurious Charlotte Rhys toiletries, safes for valuables and the use of mini bar facilities. Plenty of secure off-road parking is available on-site. Airport transfers and local tours can be arranged.